A new Nougat-powered A77 phone from OPPO has been spotted at Chinese telecommunication regulator TENAA, revealing a handset that comes with more advanced specs than the original. 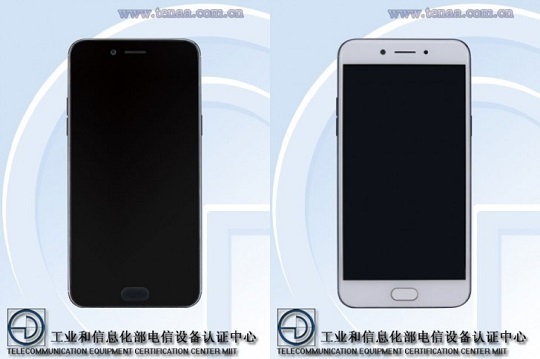 The new A77, as per the TENAA listing, will come with an octa-core chipset that is clocked at 2.0GHz, which is a step up from the original's 1.5GHz. It will also run on a better Android 7.1.1 Nougat operating system than the 6.0 Marshmallow of the already released A77. OPPO first announced the A77 in mid-May, sporting a 13-megapixel main camera and 16-megapixel selfie snapper with a 5.5-inch Full HD display. According to the listing, the new A77 variant will also have a similar display and camera specs, but as mentioned above, with a better chipset and OS. In addition, the new A77 will have a slightly smaller 3115mAh battery than the original's 3200mAh. It's slightly lighter, too, with a weight of 148g from 153g, with quite different dimensions at 153.3 x 75.9 x 7.4mm versus 153.3 x 75.2 x 7.2mm. Interestingly, prior to this, a variant dubbed A77T has already been spotted, revealing a phone with the same specs and features, including the display and chipset, with 4GB of RAM and 64GB of internal storage. But, as to when OPPO is going to release the new A77 variant, still remains to be seen.